Reliance Jio has become the largest 4G service provider in India with a user base of around 130 million. With Jio anyone can avail affordable 4G internet packs now. Jio also provides the MyJio app which lets a user recharge its number anytime. One year ago Jio revolutionized the internet by giving free 4G internet service around the country for free. Users have availed the free internet services for more than 6 months. And some lucky Jio users have used the free internet for one year without paying a penny. Jio also has JioFi router which is a 4G Wi-Fi dongle and has the capability of Wi-Fi calling. This kind of feature can't be seen in other telecom companies' dongles. So if you have a JioFi router then you can use it to make Wi-Fi calls from your android phone. For this purpose you have to install the Jio4G app on your android phone. And the good thing is that you can use the Jio4G voice app on a 3G android phone. Technically Jio doesn't support the 3G/WCDMA frequency band. So if you use the Jio SIM on a 3G phone then there would be no network signals at all. But with Jio4G app you can use the Jio 4G network on a 3G phone with the Wi-Fi calling feature. Download and install the latest version of Jio4G Voice from Google Play Store on your 3G/4G android phone. You can use any android phone that supports Jio4G Voice app. Go to iTunes app store if you are using an iPhone. Connect your android phone to JioFi router over Wi-Fi network. Make sure Wi-Fi is working. Open the app and grant several permissions. After the initial setup you'll see that the app will show you JioFi SSID for Wi-Fi calling configuration. 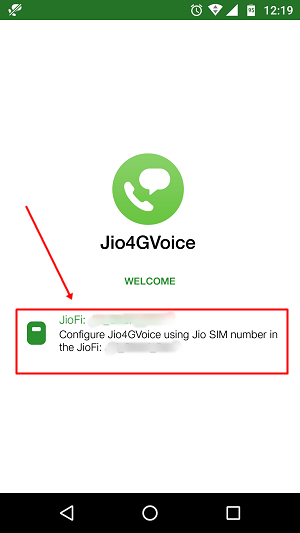 So you will now see a configuring message on the app's screen displaying the router's SSID and a message "Configure Jio4GVoice using Jio SIM number in the JioFi: SSID". 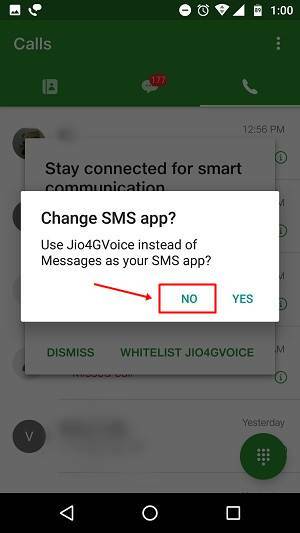 That's it tap this configure message and follow the instructions to setup the Jio4G Voice app. 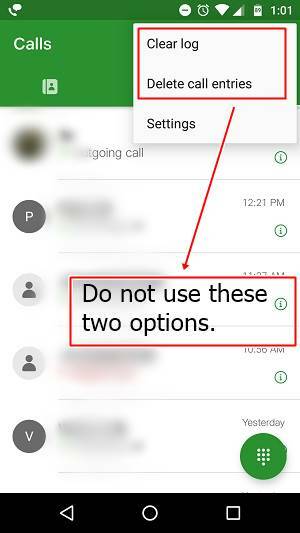 Before full configuration you will receive an OTP on your alternate mobile number. This alternate number is the phone number that you registered while purchasing the Jio SIM. If the alternate SIM is being used your phone then the app will auto verify the OTP. Otherwise you have to manually enter it. Without entering the OTP the Jio4G voice app can't be configured for security reasons. Now just after the configuration you will see two popups in the app. First popup will ask you to change the SMS app to Jio4G voice app. Tap 'NO' because if you change it then your phone's SMS app will not receive any SMS and all SMS will be received by Jio4G app. If you ever uninstall this app the messages will also deleted that were only received by Jio4G voice app. The second popup will ask you to whitelist Jio4G voice app. Tap 'DISMISS' because whitelisting this app is of no use. Because you may be using this app occasionally so whitelisting this app may drain your phone's battery. Also make sure that you don't accidentally delete call logs otherwise they will also be deleted from the phone's app. Video calls are only supported between Jio users. 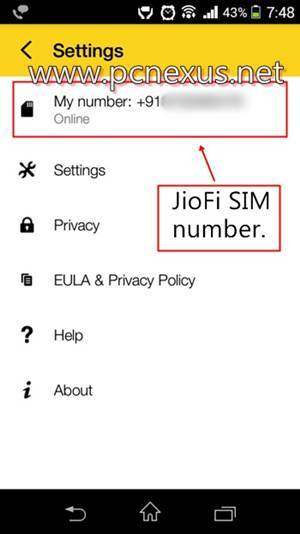 The person to whom you are calling via JioFi will always see the JioFi router SIM number and not the SIM number that your phone is using which is of different network.